Here it is! 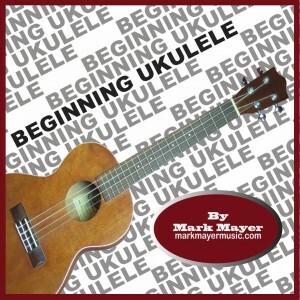 The first instrument instruction book “Beginning Ukulele” Lessons and Theory by Mark Mayer. This book contains 6 hands-on ukulele lessons that will teach you not only how to play the ukulele, but also how to read and understand music. From the absolute beginner with no previous music experience to the self-taught musician wanting to understand theory, this book is for you. The books 14 concise pages will have you excited for each new lesson and your progress will be obvious. A practice checklist is provided to check your progress as you advance so you can assess your own skill level. This ebook is available on Lulu.com and other major distributors now and is instantly downloadable for most eReader devices. Kindle users must purchase the book through Amazon.com, iBooks users must download through iTunes, and NOOK users must purchase through Barnes and Noble. The first lesson is still free and available HERE to try before you buy. Thank you for continued support and enjoy playing the ukulele! See ya soon!